After cruising through Auburn University and seeing the football stadium, we went to Tuskeegee and learned about the Tuskeegee Institute, Booker T. Washington and George Washington Carver. Driving along Alabama roads our attention was caught by a road sign announcing the First Confederate White House which was in Montgomery. So we spent an afternoon touring the city's historical sites. This church is in Montgomery Alabama. 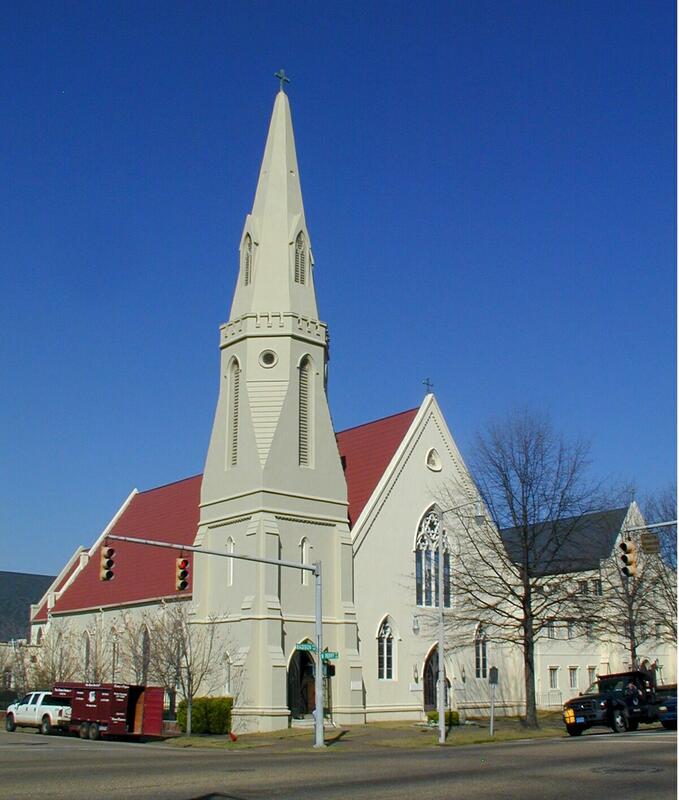 Jefferson Davis attended this church with his wife who was a member. The odd pew in the pictures is the Davis pew. It use to be that a family purchased their pew or they'd have to stand. 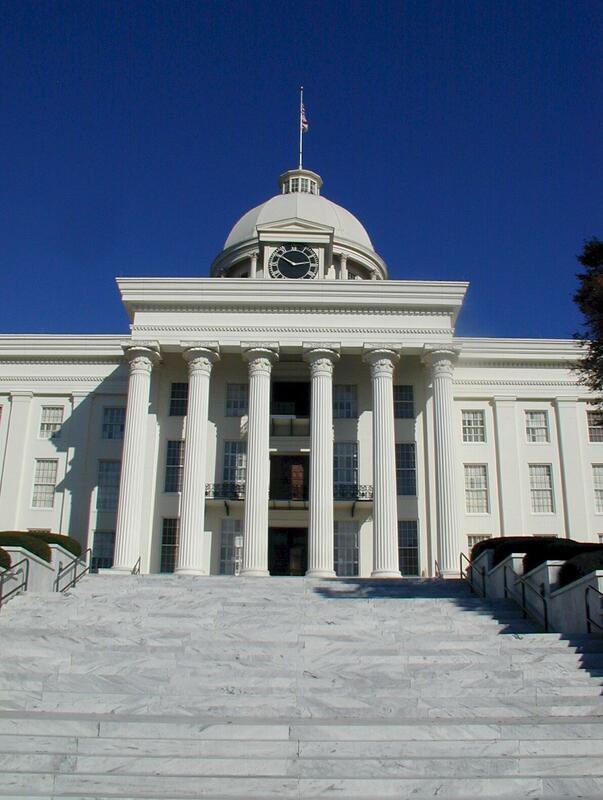 Jefferson Davis took the oath of office of the Presidency of the Confederacy on the steps of the Alabama State Capitol. Jefferson Davis and his family lived in this house for a few months before moving the White House to Richmond, VA.